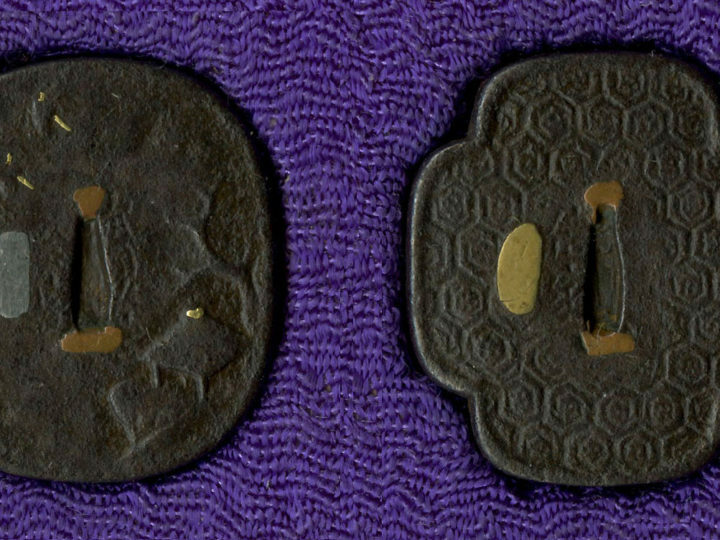 Nasu no Yoichi (那須与) (c. 1169 – c. 1232) was a Samurai who fought alongside the Minamoto clan in the Genpei War. 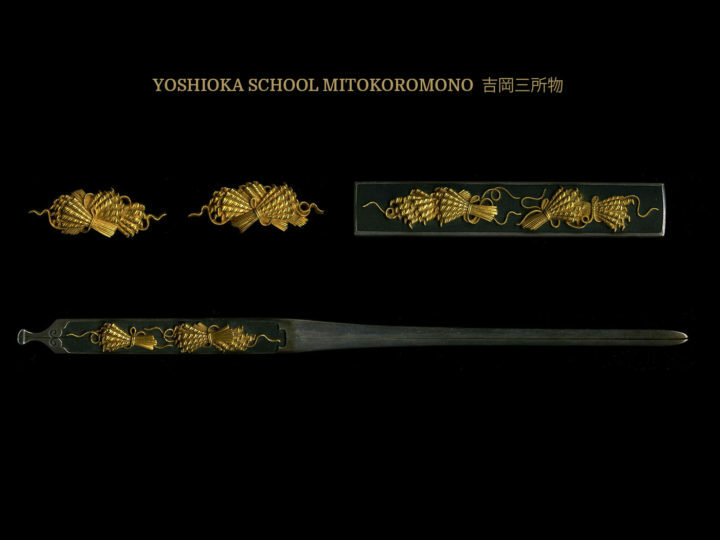 He is particularly famous for his actions at the Battle of Yashima in 1184. 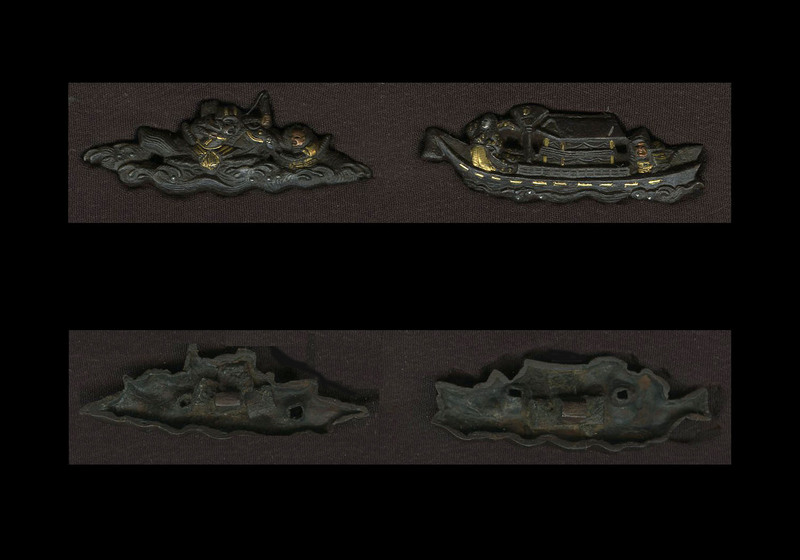 According to the Heike Monogatari, the enemy Taira placed a fan atop a pole on one of their ships, daring the Minamoto warriors to shoot it off. 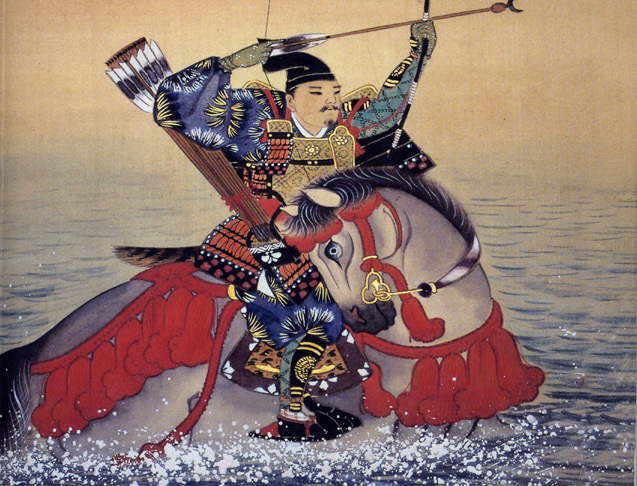 Sitting atop his mount in the waves, his target atop the ship rocking as well, Nasu nevertheless shot it down with only one shot. 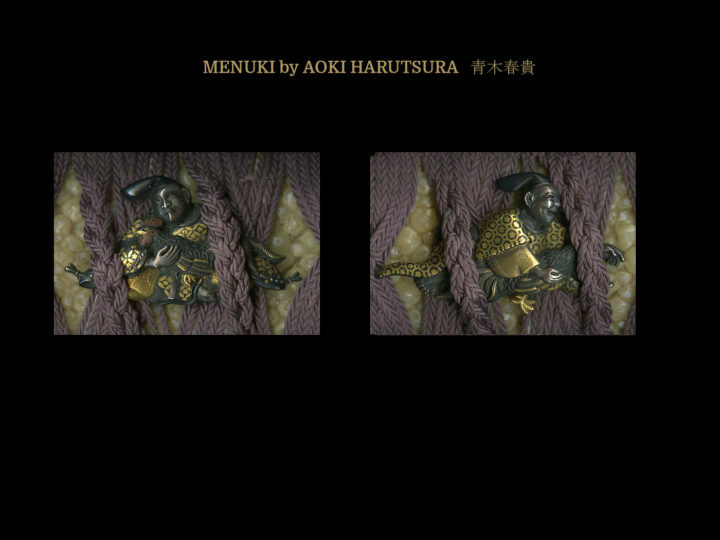 These menuki are in excellent condition with no rust and the faces of the warriors are quite well preserved with almost no rubbing. 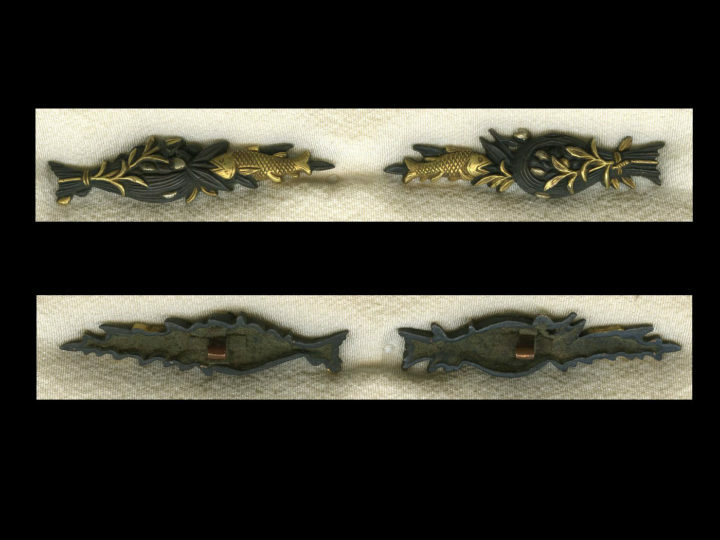 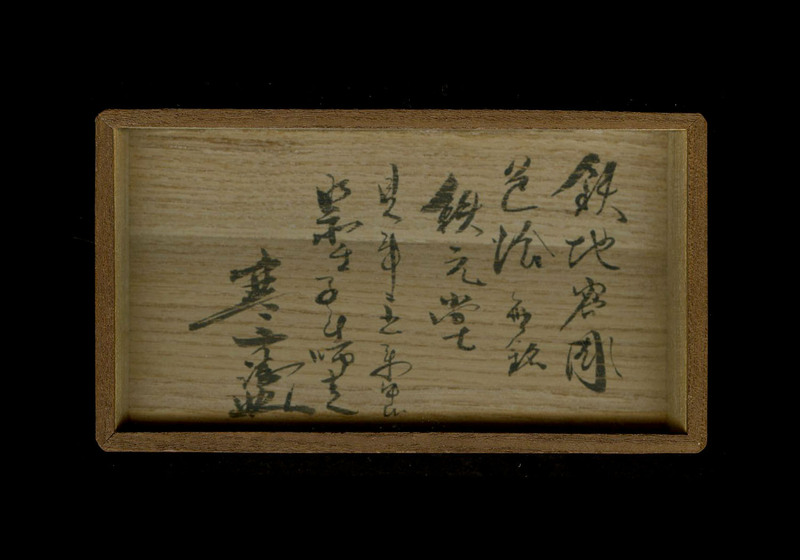 They come in a custom made fitted wooden box with a hakogaki by Kanzan Sato, the former head of the NBTHK. 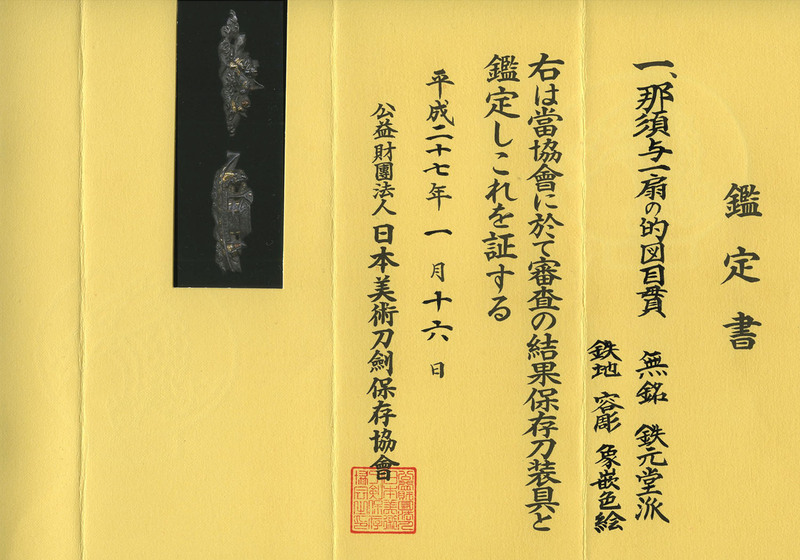 They also come with NBTHK Hozon papers attesting to their quality, condition, and attribution.